We all love space shooters. Get into the cockpit, pick up the controller, simply move around and shoot. You count on your reflexes, you act before you think, you don’t spend time making decisions, you just follow the path, point and shoot and yes it’s a lot of fun! Well, until you feel tired of casual gaming and you’d rather truly live the life of a space adventurer. 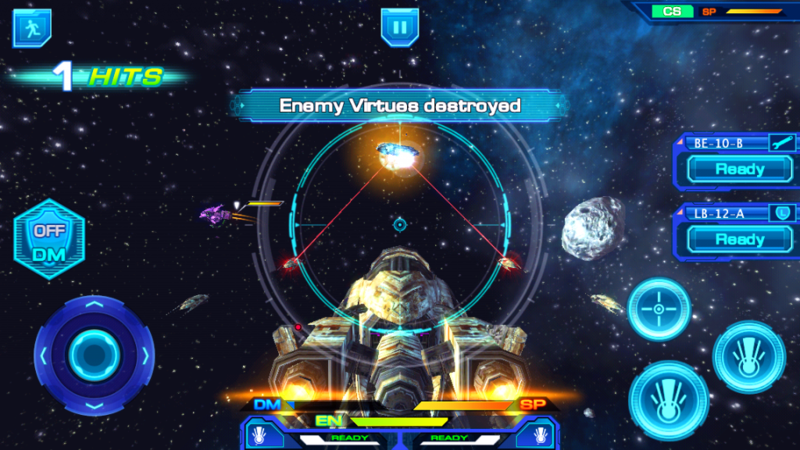 In Galactic Phantasy Prelude (GPP), you’re doing just that; live the life of a space pirate and choose your own path. At first glance it’s not as easy as other space shooters you’re used to, but who would ever believe being a space pirate is easy? Mind you, once you get started there’s no turning back, it’s going to be highly addictive. iOS has always been regarded as a platform for simple and casual gaming. Why would there be a constant barrier for serious gamers? We believe, on the contrary, the touch interface and the gorgeous screen iOS devices offer would provide a great foundation for us to build high quality gaming experience for everyone. GPP might not have as short a learning curve as ordinary space shooters, but what GPP offers is a free open world environment where you can explore the entire Universe, and you can decide how you want to proceed in your life. You really immerse yourself into the game world and you start to believe you’re a space adventurer. Simply put, GPP’s open world design makes GPP no longer a game. GPP is an experience. With an open world, you’re not told to follow a straight path. Well, it’s just like in real life you’re going to explore the world a bit and seek your own path. As a space adventurer you can make a living by trading commodities or you can go all the way out and rob those trading spaceships. In combats, you can fit your ships with all the different types of equipment to align with your battle strategies. You’re free to make all those decisions.